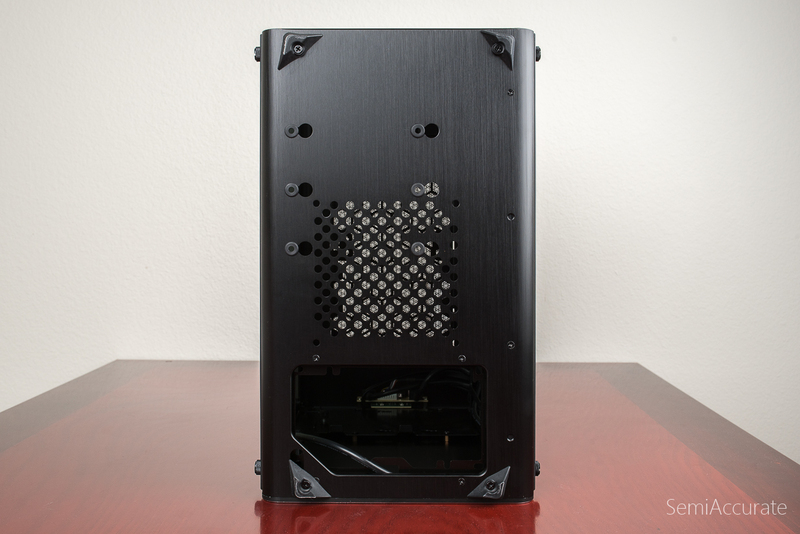 In this article we’ll be building an 18 core monster with a full ATX motherboard inside Raijintek’s Thetis Window case. The headlining feature of the Thetis is its size. 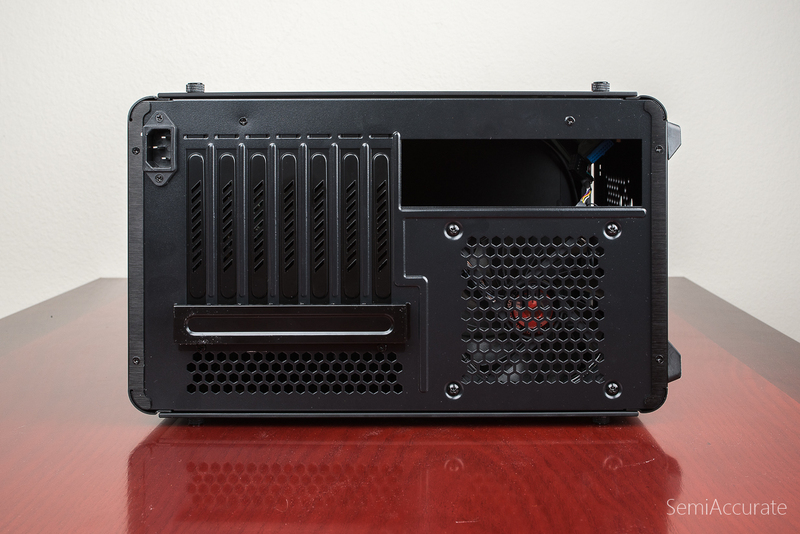 Thanks to some clever thinking on the part of the people at Raijintek the Thetis has a bottom mounted power supply which allows it to fit a full ATX motherboard inside of an otherwise mATX-sized case. 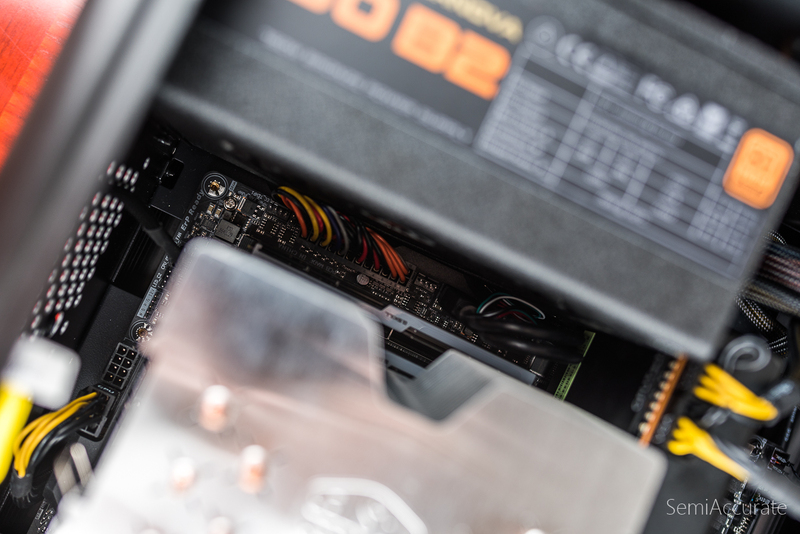 To accomplish this Raijintek has flipped the motherboard upside down and positioned the power in the area where typically you would find drive bays. 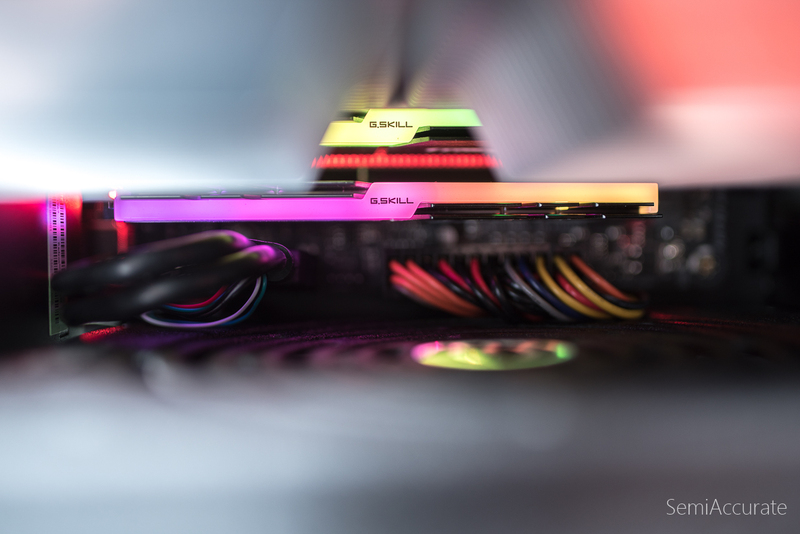 This clever layout keeps the PCI-E slots open so you can fit long GPUs like the Radeon RX Vega 64 we used in this build and large heatsinks like the CoolerMaster Hyper 612 heatsink we have here. 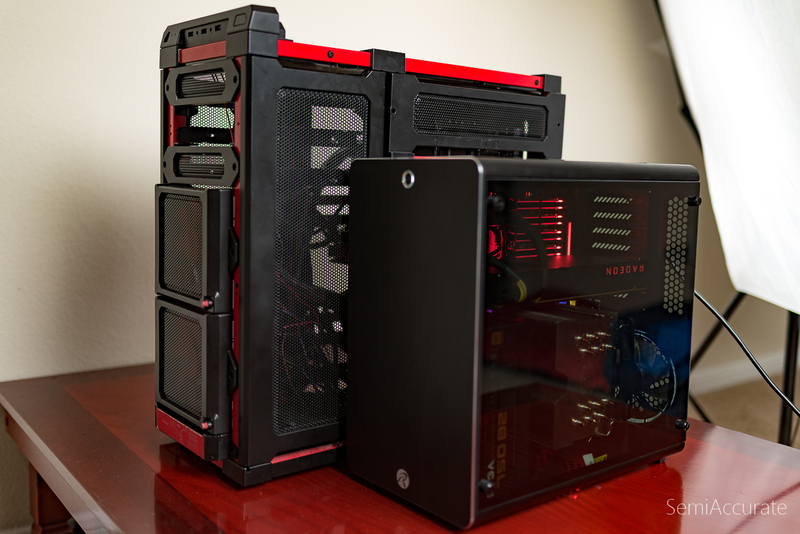 Make no mistake the Thetis is a small case whose dimensions are barely larger than the ATX motherboard that it fits. It’s exact dimensions are 210mm by 360mm by 366mm where it’s slightly taller than it is long. Thanks to its brushed aluminum and glass construction the Thetis Window is neither particularly heavy nor especially light a 6 kilos. Here on the underside of the Thetis we can see the cut out for the rear of the power supply, an air intake vent and the rubber mounts for a 3.5″ drive. The Thetis has four rubber removable legs that are about centimeter in thickness and held on by a single screw. On the top of the Thetis Window we have useful if unremarkable pair of USB 3.0 ports that are paired with the headphone-out and mic-in audio ports that we’ve all come to expect on modern PC cases. Still the dark brushed metal finish is quite nice. 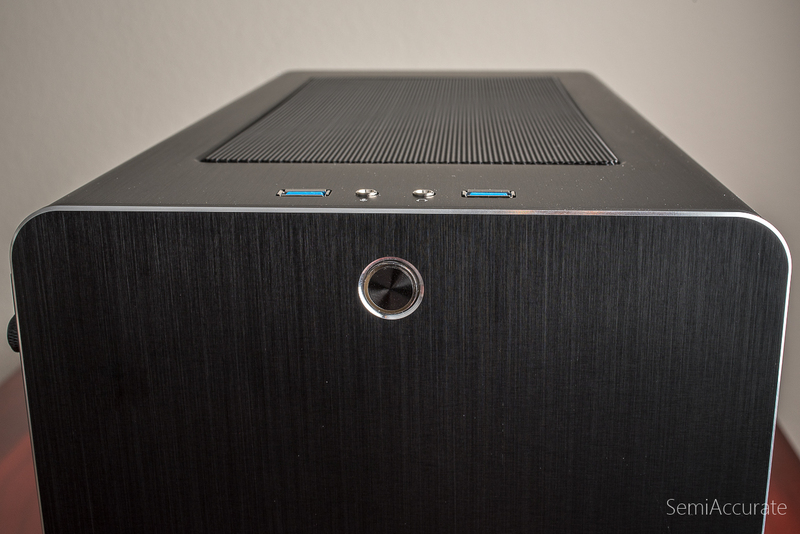 A small metal highlight ring runs around the power button and the edge of the front panel of the case. It’s a nice if rather subtle touch. 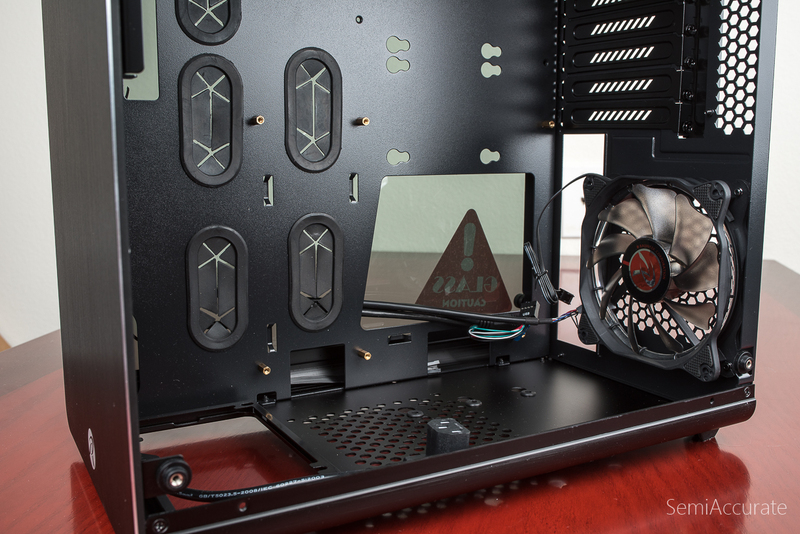 For cooling the Thetis includes mounting for two 120mm fans on the inside of the top panel or for those that want a closed loop CPU cooler you can replace those two fans with a single 240mm radiator. From a thermal management perspective the Thetis Windows is a pretty straight forward affair where cold air is sucked in from the bottom and pushed out the top. 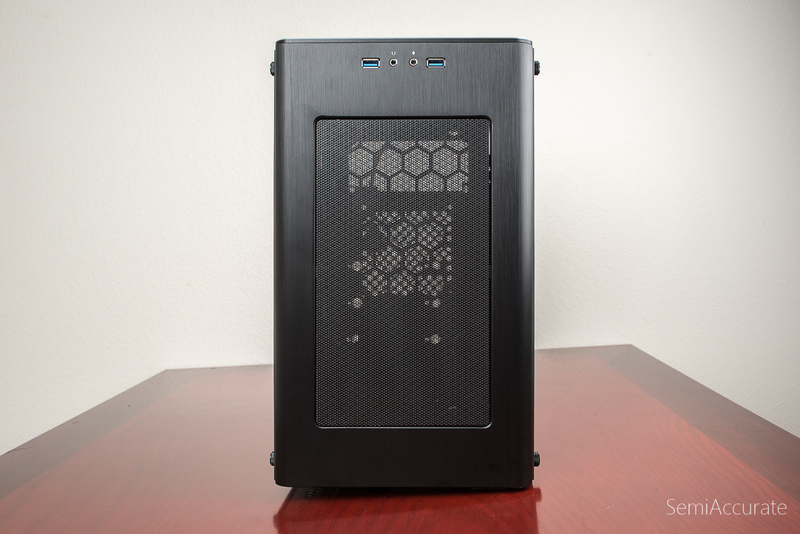 Here we’ve got the rear panel of the Thesis which is barely longer than an ATX motherboard. 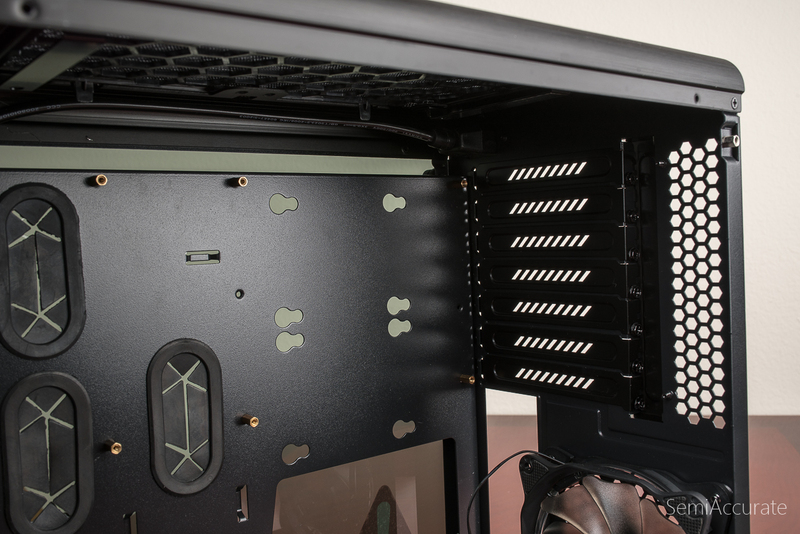 Raijintek has seen fit to add some vent holes in the spare area above the PCI-E slots which is a nice touch. 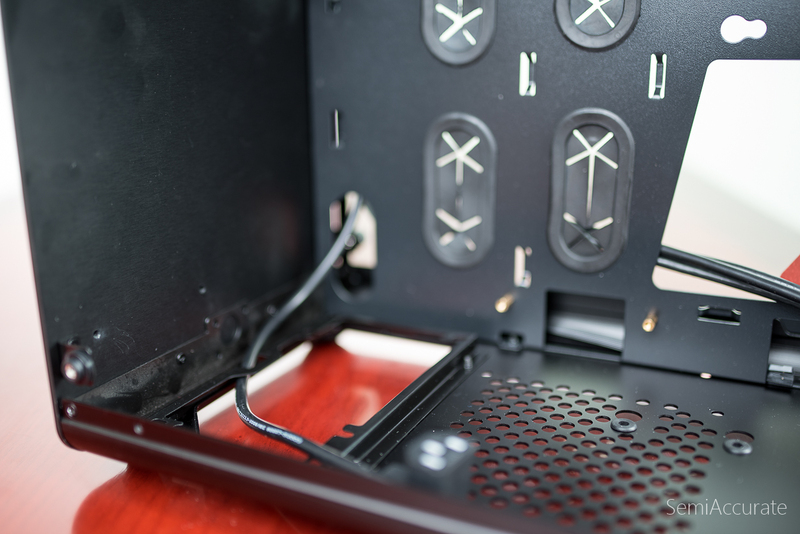 Additionally they’ve got a metal bracket that protects and conceals the mounting points for the PCI-E devices. 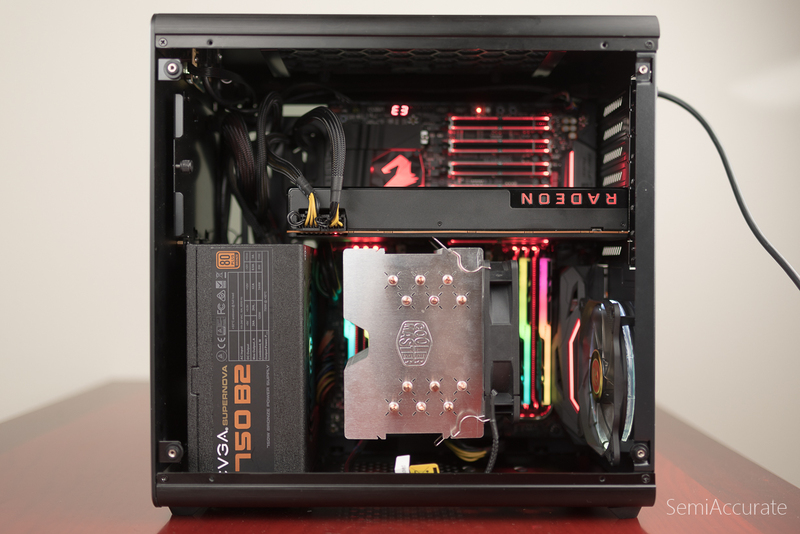 A single 80mm intake fan is the only fan that comes from the factory with the Thetis and it feeds air into the CPU cooler and over the motherboard’s VRMs. 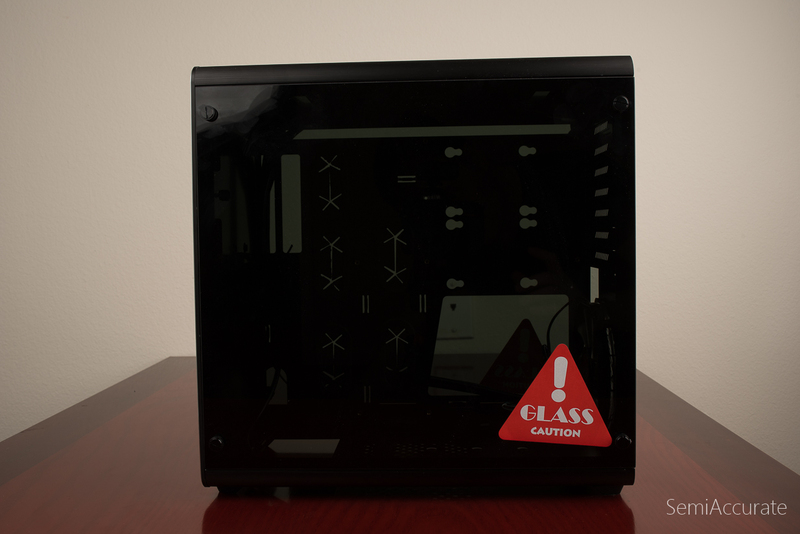 Near the top edge of the case, seen on the left in the image above is the power plug. 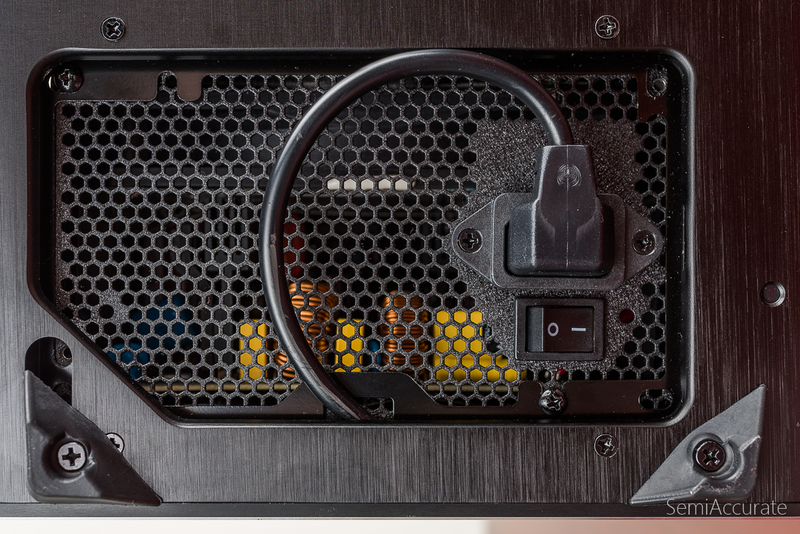 Raijintek has preserved the traditional model of plugging the power cable into the rear of the computer case along with all the other cabling by placing what’s essentially and extension cable from this plug on the rear of the case all the down to the actual mounting position for the power supply on the bottom of the case. 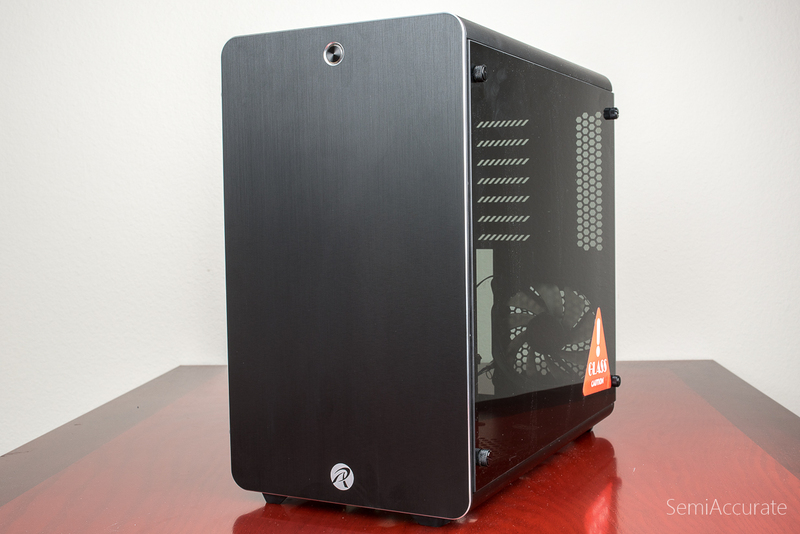 Raijintek’s use of full glass side panels on the Thetis is both stunning and at the same time rather subtle thanks to their use of similar glass and metal tinting on the Thetis Window. 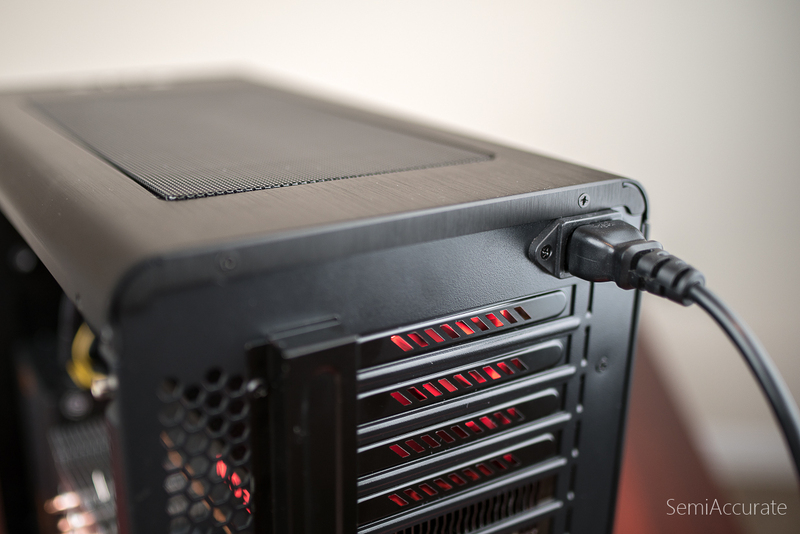 Whereas with a clear window you can see into your case from all angles and see all the details of the cable management inside the case with the Thetis window the tinting of the glass mutes those concerns. 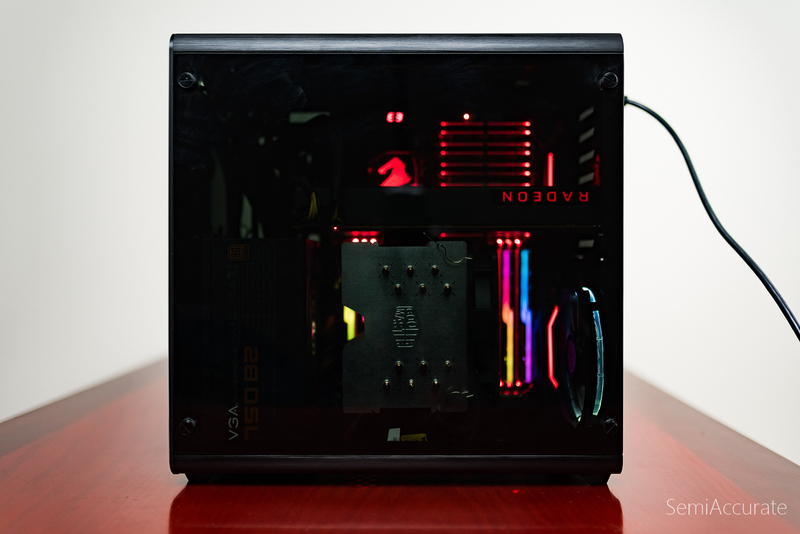 You can still see those items if you look for them but the focus is moved from the physical components to the glow of the LEDs on those components as they shine out from inside of the case. Taken all together I think the Thetis takes a much classier approach to windowed cases and managing the RGB LED madness that the PC market is grappling with at the moment.